Synthetic Leather: Top-of-the-line, soft, aerodynamic synthetic upper hugs the foot and locks the foot onto the plate for optimum support. 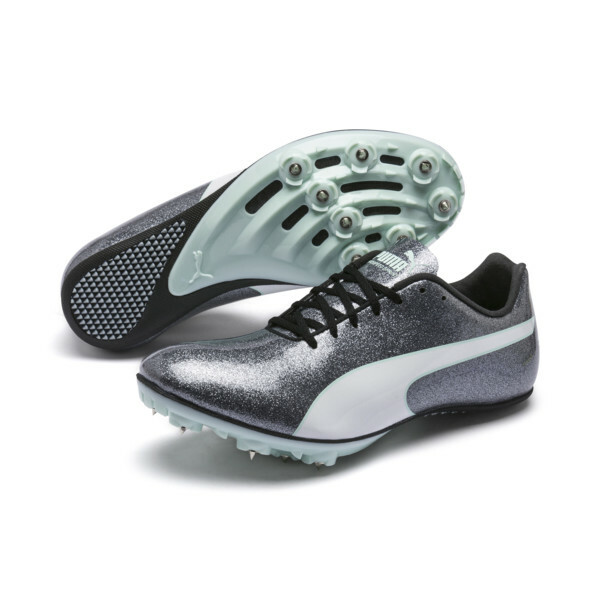 ?New Iridescent Glitter upper material for enhanced visibility on the track. Seamless upper construction: Minimize irritations, and allows for barefoot usage. Suede Tongue: Tacked down on medial side secures a better fit ?? WOMENS SIZING - This shoe is not eligible for the special free offers. It will be removed when ordered.